Not everyone likes that idea though and there are many who want only one Primary election date, including both Democrats and A good number of Republican State Senators and Texas Congressmen. We will find out soon from the San Antonio Federal Court whether we will have two Texas Primaries (one in March and One in May) of whether ALL the Primary Elections in Texas will be pushed back to a later day, likely May. 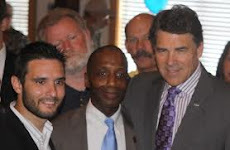 Having only one primary election instead of two would certainly push back the Texas Primary election till at least May. The RNC made a rule that if certain states had their primary Elections before March 2012 and February 2012, then those state would lose HALF of their Presidential Primary Delegates. Well, most of the states that have primary elections before Texas have not complied with this rule and therefore those States will lose half of their Republican Presidential Primary Election Delegate Votes. A Candidate needs 1214 Delegates in order to have a majority of the Republican Presidential Primary Delegates and win the Republican Nomination. We will find out soon from the San Antonio Federal Judges whether we will have two Texas Primaries (one in March and One in May) of whether ALL the Primary Elections in Texas will be pushed back to a later day, likely May. Considering our state's record of offering up pseudo-conservatives like Bush Jr and Perry as presidential material, I'm not sure it's a bad thing to downplay Texas' role in selecting the next GOP nominee.